Time in nature: I believe quality time in nature is the best way to come back to our connection to ourselves and embodying self-love. It’s as if spending time in nature is like a power boost to align us to our inner light and feel whole. She reminds me of the unifying energy that’s in all of us, especially in our self-love practice. 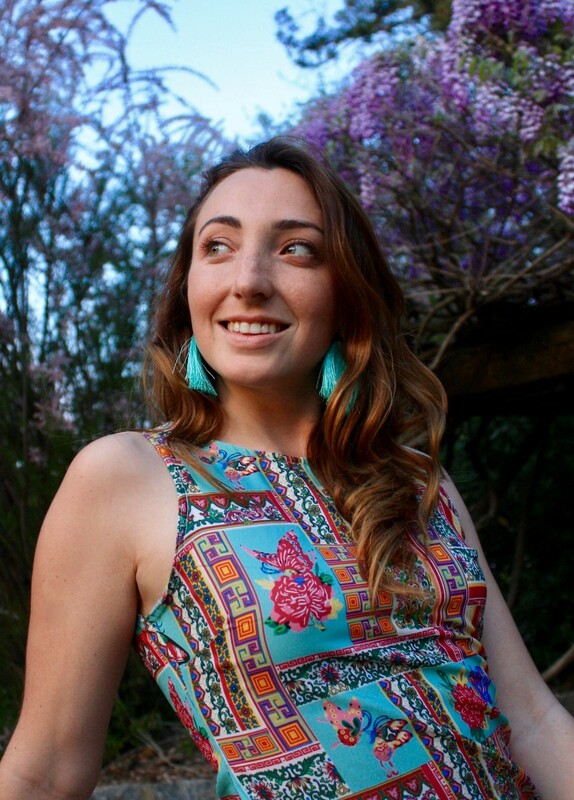 As a part of my series about “Connecting With Yourself To Live With Better Relationships” I had the pleasure to interview Kelsey Eaton, a certified transformational life coach and yoga teacher based out of California. 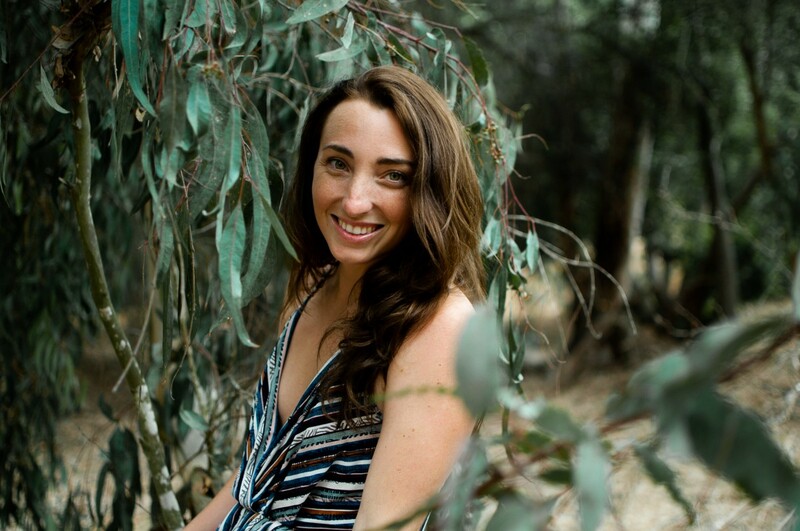 Kelsey guides spiritually minded and socially driven women to tap into their inner light by focusing on energy, soulful strategy, and taking inspired action. 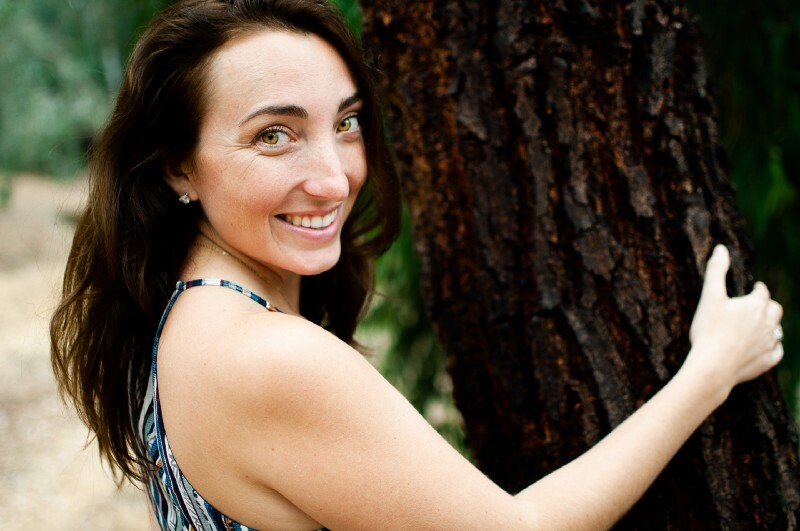 She blends coaching, energy work, and yoga to help women embody their deepest desires by releasing the beliefs that have kept them playing small so they can cultivate their dream life. She is also the founder of the Soulcially Driven movement that brings spiritually minded and socially driven people together for personal development and social impact. Looking back, I can see how every little step of my life’s journey prepared me for where I am now as a transformational life coach and yoga teacher. As a little girl, I would pass time learning about other cultures, playing in nature, and concerned about the well being of the people around me. As a teenager I believed the best way I could create a life dedicated to improving the wellbeing of others was through a career in the nonprofit sector. I spent all four years of college preparing to join the Peace Corps and had just moved to Paraguay to start my 27 month service commitment teaching environmental science and personal development classes in a second and third language, which I learned upon arrival. This was one of the most challenging and yet enriching periods of my life. I would go months without seeing a fellow volunteer, spending my days walking under the blistering sun, and introducing myself to over 180 families with cautious stares wondering why on earth I’m living there, to building some of the most intimate friendships I’ve ever had simply by communicating with a lot of smiles and laughter. During this time, I also struggled with depression and anxiety from feeling isolated in my community, without anyone to talk to on a daily basis that I could fully trust and be vulnerable with. At this time, I leaned heavily on consuming anything published by Hay House and in turn discovered the coaching world. I was in awe that people were able to create a career helping others in such profound ways that were outside of the social service sector. I even looked up online coaching certifications, but quickly brushed it off as “me” not being “good enough” to guide others. After my Peace Corps service, I moved to India to become a Director of a non-profit organization focused on girls empowerment, but after a year, I felt crushed by working 60+ hours a week and one afternoon my thoughts went hazy as I stumbled on my words, and my entire right arm went numb- my body was physically responding to the high amount of stress that I’d been denying. Despite all of the energy and love I had put into making my dream come true working as the Director of an international non-profit organization, I was burnt out and felt defeated. I felt disconnected from my light and was ready to go back to the drawing board to reconnect to my purpose. I decided to leave my job to get my yoga teacher certification in Rishikesh, India and then return home to California to figure things out. Coming home felt like giving up on my dream, I had bad reverse culture shock and for the first time in 15 years, I didn’t have a plan for my future, so I applied to graduate school to “logically” fill this gap. In the meantime, I started teaching yoga and took an online certification program to become a brand and web designer so I could support myself. During this time I uncovered my niche, spiritually minded and socially driven women; I have an innate connection with women who are tuned into their spirituality and have spent most of their lives in the social sector. My yoga practice continued to grow and many of my business clients turned to me for coaching to help them with not just tech and strategy, but mindset and energy too. Within one week, I had three women reach out to me to help them grow spiritually. The signs were loud and clear, this was the turning point when I realized I had the power and capability to create the life of my dreams in helping women tap into their light and develop mentally, physically, and spiritually. I started the Soulcially Driven movement to bring together spiritually minded and socially driven women to build successful lives and businesses that they absolutely love through coaching, yoga, and workshops. Yes, I am! This year I am focusing on expanding the Soulcially Driven movement to reach hundreds of women worldwide by adding retreats and a podcast launching in June 2019. Soulcially Driven is a lifestyle movement I’ve created to bring people together who are fueled by something higher than themselves and who are committed to being of service to the world. All of these services are focused on helping women embody their unapologetic and benevolent selves. We spend so many years living out old stories from our past that keep us safe and small, but deeply dissatisfied. When we peel back these stories and shed the limiting beliefs we’ve picked up along the way, we create space to feel more connected to our intuition, and to have a clear understanding of what we really desire, and take inspired action to build a spiritually minded and socially driven personal and professional life. This kind of work not only helps people fall in love with the lives they’re living, but also helps them to appreciate how their past has brought them to this place of success, and most importantly to make the conscious decision to nourish their mind, body, and spirit so they can give back to the collective. When I returned home from India, I started to teach yoga and grow my digital design business, everything on the outside was going well, but internally, I still felt defeated and a deep sense of shame for giving up on my dream of working at the non-profit in India. One day, I felt so dissatisfied with where I was at and could only focus on what wasn’t working out for me. I intuitively knew I was on the edge of uncovering a heavy story that needed to be released so I could step fully into embodying the woman I wanted to be. These emotions couldn’t be dismissed, so I sat down to meditate and journal. While journaling, I made a list of what was and wasn’t working in my life and I noticed everything that wasn’t working was “me”- this was hard to accept. How could I have lived so many years of my life without being fully aware of how unloving and condemning I was with myself? I felt the pull to use muscle testing to find out where and when this story started. Muscle testing allows us to tap into our subconscious mind by answering true or false questions. This process helped me discover my underlying feelings that at the age of two, I was the cause of my parents divorce and therefore unworthy of unconditional love. This inner-critic and lack of unconditional love kept me in a feeling of shame and inadequacy and prevented me from taking the next steps to creating the life of my dreams. Through energy work and daily rituals, I released this belief and replaced it with a commitment to unconditionally love myself and on a daily basis to be more gentle on my body, and mindful of my inner-dialogue. This commitment to unconditional self love gave me the confidence to launch the Soulcially Driven movement. I now put a greater emphasis on inner-child work and helping my clients release the belief that subconsciously keep us in this place of craving more but feeling like no matter what we do we’re stuck in the same place. And although every person has their own unique story, more often than not their limiting belief is rooted in a lack of unconditional self love. The world we live in today is centered around bringing the public into every moment of our private life. And more often that not, social media only shows one polished aspect out of hundreds and yet we still use this content as evidence to compare ourselves to. We are so accustomed to consuming other people’s’ content when we are feeling bored with our present moment and it automatically puts us in a place of comparing ourselves to others and feeling dissatisfied with who we are, what we look like, and what we’re doing. This dissatisfaction fuels our own limiting beliefs and perpetuates the often negative conversation that goes on in our mind like “I’m not good enough, I’m not smart enough, I’m not pretty enough, or I’m not fit enough”. I believe it’s our negative inner dialogue and the quality of our beliefs that causes so many people to feel dissatisfied with their appearance. Beauty is an inside job, it’s an inner self-confidence and self-love that creates an energy that can be felt by others. It’s not about how we look or how we dress, it’s always been about how we feel. And when we have people who are more critical than ever before, we end up with a small portion of society who are satisfied with their appearance. The most pivotal moment in my self love journey was realizing I only knew how to love myself fully when things were working out, and when they weren’t working out, the inner mean girl would yank away the love I needed leaving me with the feeling of “I’m no longer worth it”. This inner-dialogue is the most important conversation you will ever have in your life as it truly dictates what is and what isn’t possible for you. Learning how to love yourself, even when things aren’t going as planned will help you stay focused on your bigger vision and to remain motivated to achieve it. The essence of any relationship boils down to a desire to be loved and accepted. We feel safe when we have someone on our team to love us, to care for us, and be there for us in the good, the bad, and the ugly. There’s so much fear around not having someone who loves and accepts us that many of us stay in mediocre relationships much longer than we should. In fact, many people wouldn’t consciously admit it, but I believe we stay in average relationships because we don’t trust our capability to love ourselves enough to feel whole. So instead we settle for what we have because it’s safer than the unknown or being faced with the hard truth that we don’t give ourselves the love we deserve. I’m a firm believer that we cannot fully love another person until we fully love ourselves. My advice for people who are in this situation is to take an honest look about their beliefs. Ask yourself: Do you feel confident in your ability to take care of yourself? Do you love and accept yourself fully, or do you need your partner to feel whole? It can feel very scary to think about these things, but if the idea of being in a mediocre relationship feels safer than being alone, then there’s a good chance you could benefit from inner work related to self-love and by working with someone to help you get clear on what you really want from life and a relationship. Rather than reflecting on our inner beliefs and taking full responsibility for our current reality, many of us tend to place blame on our external circumstances. It can be very challenging to accept how our choices and beliefs have brought us to where we are. Yet, having this challenging conversation with ourselves can have a profound impact on creating a life we actually love and knowing what we should focus on. • Does my inner dialogue and self beliefs support the life and relationships I want to have? • Do I show up for myself the same way I show up for the people I love and care about? • Do I give myself the same love that I give to the people I love and care about? When I started my business there were a lot of natural challenges that arose and these questions helped me gain confidence and self-compassion. They also helped me understand how important it is to mirror the love I give others back to myself. I encourage those of you to use these questions if you want to have a better understanding of how your self beliefs and inner dialogue are reflected in your outerworld. Many people equate being alone to being lonely, and it’s probably because they don’t feel comfortable with having this alone time to be with their thoughts because they’re afraid of where their thoughts will take them. When we fill up our schedule with so many to-do’s and not any time to nurture our mind, body, and spirit connection, we pinch ourselves off from experiencing a deep satisfaction in our present moment. Like I mentioned earlier, I believe in order to love others we must first love ourselves, and spending time alone in silence is a great place to develop self-love and feel comfortable with just being. Because the relationship we develop with ourselves becomes equally as important as the relationships we develop with others and as you practice daily self-love you’ll no longer equate being alone, as being lonely. When we fully love and accept ourselves, we open ourselves up to being comfortable with taking the first step for conversations, experiences, and relationships that many of us deeply crave but are afraid to pursue. This daily practice of self-love also creates a palpable energy that can be felt from person-to-person and magnetizes amazing connections in our life. We feel pulled to have vulnerable conversations with the people around us as our perspective on life and others is rooted in a place of self-love and self-understanding. These conversations create deeper connections and build intimate life-long friendships. For individuals, I believe the answer is to commit to a daily practice of self-love. When we focus our attention on loving ourselves and nourishing our mind, body, and spirit connection a lot of the previous feelings of inadequacy float away. This daily practice can range from journaling, baths, walks in the park, volunteering for a cause you’re passionate about, or just shifting your awareness to the breath. No matter what you do, the most important part is the inner dialogue that goes on while you do it. I believe as a society we should embrace this kind of introspection like we do brushing our teeth. What we believe about ourselves is equally as important as how we care for our physical body. To take the time to better understand ourselves often comes at the expense of our jobs, relationships, and livelihood. This often leads to society inflicting guilt and shame towards those who want this time to reflect when really a daily self love practice should be embraced and encouraged. A great way to spark this shift would be to focus on leveraging influencers and large companies to include self-love and self-acceptance values into their online presence like those of diversity, body positivity, inclusivity, and mental health. By supporting small daily self-love breaks it would be incredible to see just what ten minutes of meditation or yoga could do for a person’s well being, productivity, and overall happiness. 1. Meditation: Every morning I spend 20 minutes meditating. This daily practice can help and hinder my day. It allows me to feel much more relaxed and in tune with my light. It allows me to lead from the heart, speak with a kind tongue, and see with compassionate eyes. I always recommend people to start a daily meditation practice, even five minutes a day can make a world of difference. 2. 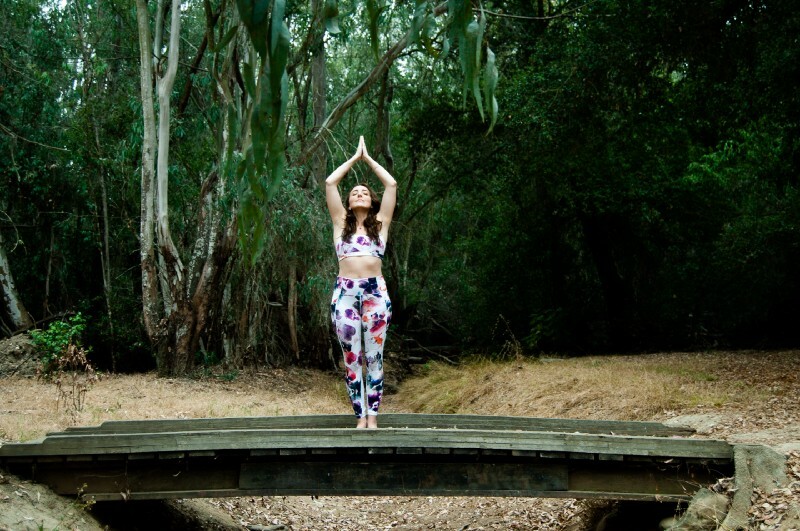 Yoga: Yoga is such a wonderful way to get out of our head and into our heart through the fluid movement of the body connected to our breath. During class, I like to encourage my students to practice with their eyes closed so they can move into a place where there’s no judgement and only love and appreciation for how their body wishes to move that day. This is the ultimate practice of self-love. 3. Gratitude: I can’t imagine maintaining my connection to myself and embodying self-love without a daily gratitude practice. Throughout the day I like to be mindful of my surroundings and send love and gratitude to what I’m experiencing. Whether it’s my food, my hands, a conversation, a pretty flower, a glass of water, or a warm hug, there is always something to grateful for. 4. Time in nature: I believe quality time in nature is the best way to come back to our connection to ourselves and embodying self-love. It’s as if spending time in nature is like a power boost to align us to our inner light and feel whole. She reminds me of the unifying energy that’s in all of us, especially in our self-love practice. 5. Journaling: Developing a regular journaling practice has helped me work through the emotions that come up from committing to a daily practice of self-love. Even when you think you’ve worked through it all, emotions will still bubble up to the surface, and there will be situations that trigger us to turn back to self-deprecating thoughts. This is when journaling is a great tool to get it all out and then bring your attention back to the amazing human being that you are. My favorite book for building a supportive relationship to yourself and the people around you is The Book of Awakening by Mark Nepo. This book has a daily passage to help broaden our perspective on life paired with a meditation and activity to practice the teachings of the day. What I love most about this book is that it allowed me to have very intimate conversations with the people around me that otherwise wouldn’t have been possible. It’s a great tool for those who are just starting out on this journey and are looking to build a daily habit of introspection and self-love. My favorite podcast related to self-psychology and relationships is On Being with Krista Tippett. This podcast is solely dedicated to having intimate conversations with the most influential creatives of the world on life and being human. Many of the episodes dive deep into human psychology, our relationship to self, and building meaningful connections with the world around us. I’m definitely an advocate for bringing greater awareness to the Soulcially Driven movement. Developing an intimate connection to ourselves and being of service to others is a solid foundation to living happy and fulfilling lives. It guides people to have experiences and conversations that respect and honor our inner connectedness to all beings by focusing on personal development, spirituality, and social impact. Being Soulcially Driven starts with something as small as committing to a daily meditation practice and ethical consumerism, to working with a coach to deepen your connection to self or to volunteering your time to a social cause. What matters most is finding balance between being tapped into your light while still grounded to the earth and to filling up your own cup to then fill the cups of others. A Soulcially Driven lifestyle is way of being that will inspire others to create the unimaginable rooted in love, gratitude, and integrity. This quote has supported me for over a decade as I traveled across the world to pursuit my dreams and then come home to start a business and life of my own. It has given me the courage to stay committed to my dream about expanding Soulcially Driven and is a great reminder of what’s possible when we pursue our dreams with an unwavering confidence in ourselves.